1221. 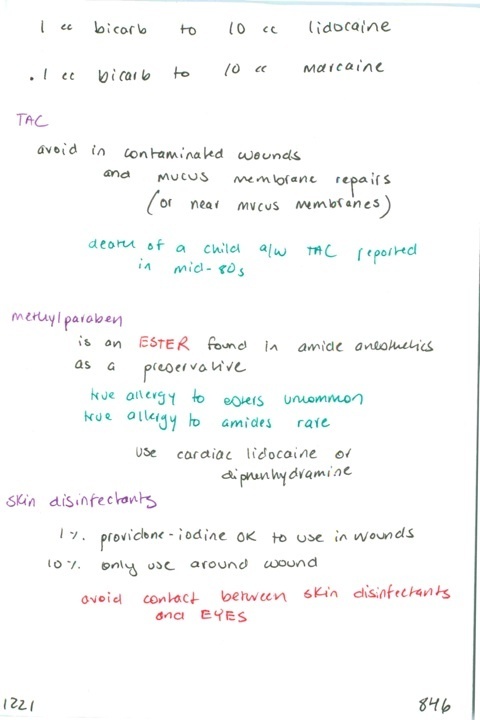 Dose of bicarb to add to lidocaine // When to avoid TAC // What is methylparaben? // What skin disinfectant can be used in a wound?